NEET 2019 Examination has been through a lot of changes this year by the newly formed Examination Authority known as National Testing Agency (NTA). NTA will be responsible for conducting all the Online Examinations in India from 2019 onwards. As per new notification released by NTA regarding NEET 2019 examination, it is clearly stated that NEET 2019 Examination will held once in a Year and it will not be an Online Examination. NEET 2019 will be carried out in Pen and Paper Based mode. NEET is the only National Level Medical Entrance Exam which helps in providing admissions in various Top MBBS/BDS colleges in India and also in AYUSH Courses offered by Indian Medical Colleges. Apart from it, if someone wishes to go for AIIMS and JIPMER, then they have to give separate entrance exam. If someone wishes to get admissions into Top Medical Courses in Abroad then he/she have to clear NEET 2019 UG Exam. After so many meetings and discussions, NTA has finally confirmed the changes that will be introduced in NEET 2019 Examination which will held in 5th May, 2019 and the Registration form filling will be starting from 1st November, 2018. NEET 2019 Exam will held in Pen & Paper based mode, not in online mode. It will held only once in a year, not as JEE Main which will be twice a year. NTA will conduct the NEET 2019 not CBSE. NTA will be providing free coaching facility to students in India from August end in various Engineering Colleges and in CBSE schools. NEET Syllabus, Exam Pattern and Exam structure will not change, it will same as earlier. Aadhaar Card is not compulsory to fill the NEET Examination form. 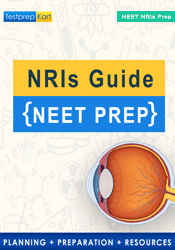 NIOS or Private Candidates are not eligible to sit in the NEET 2019 Exam. NTA will be setting up 3000 practice centers for students from the August 2018 end.